Just Ask. We Probably Can Get It. Just Ask. We Probably Can. For those long travels, we have hundreds of audio books on CD. We also have hundreds of DVDs — including movies, documentaries and classes. In addition to books and research materials, we have large print books, newspapers and magazines. We have six public computers with high-speed internet access. Wireless internet access is available 24 hours a day. Several meeting rooms are available for your group. Please call the library to reserve a meeting room. 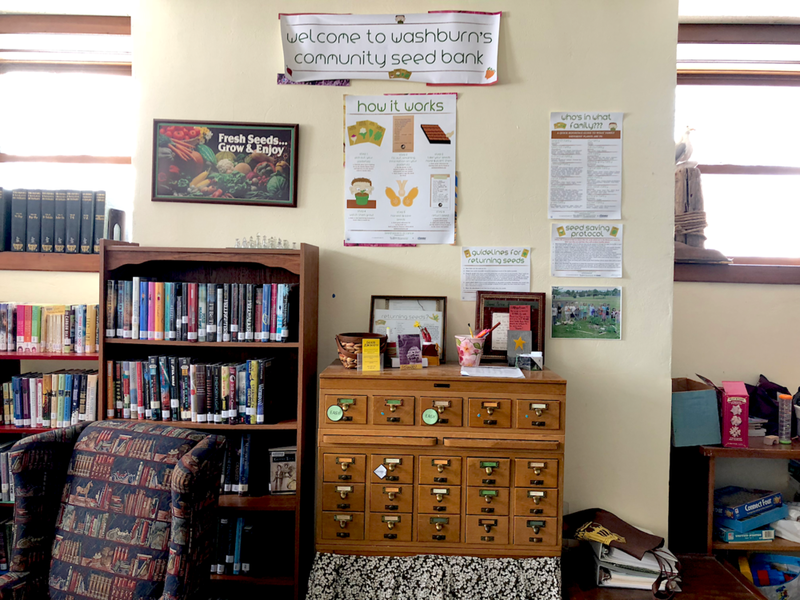 The Washburn Public Library is home to the community seed bank, located in the basement. Plan your garden using heirloom seeds, or other seeds available. If you just want to grow one pot, pick up just a few seeds. There is no cost involved. Have more fun at your picnic or yard party with a 'bean-bag-toss' game from the library. There are two sets that can be borrowed. Watch the night sky, or look out across the Big Lake with one of our telescopes. We've got two telescopes for Washburn Library patrons to use for checking out the nighttime skies. We have a Bushnell Voyager, and a Celestron. Both come with instruction packets and are big enough to see the heavens, yet small enough to put in the backseat of your car. Checkout is for a week.